I think that every traveler visiting the eastern part of Sicily should definately spend at least half a day visiting Etna. 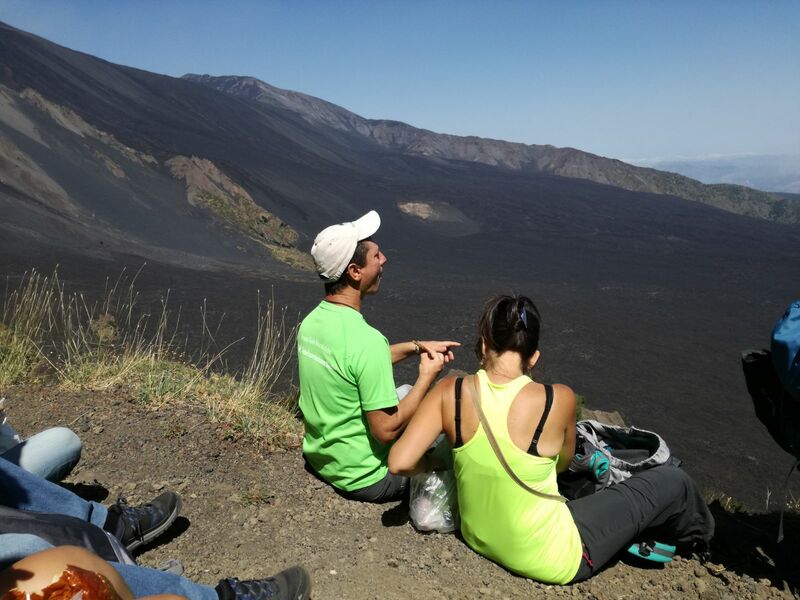 Not to tick another tourist hit but because the views and emotions that Etna offers are unique. I know it sounds banal but it’s really worth it. 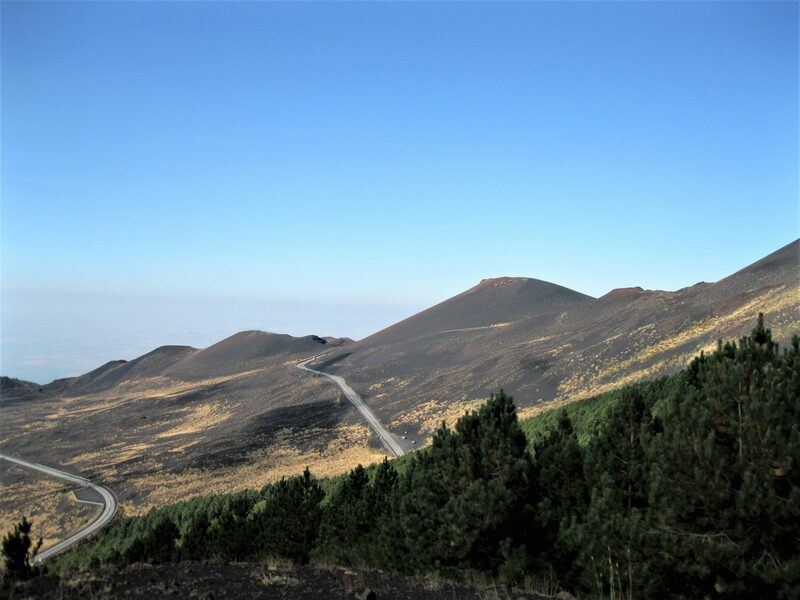 The most accessible place on Etna even without a car is the Rifuggio Sapienza, located on the southern side of the volcano (above Catania). You can get there by city bus which every morning at 8.15 leaves from the center of Catania (below you will find more information). To the Rifuggio Sapienza I will dedicate another post and here I just want to mention that it is a very touristic place. At any time of the year and at any time of the day you will find there crowds of visitors. 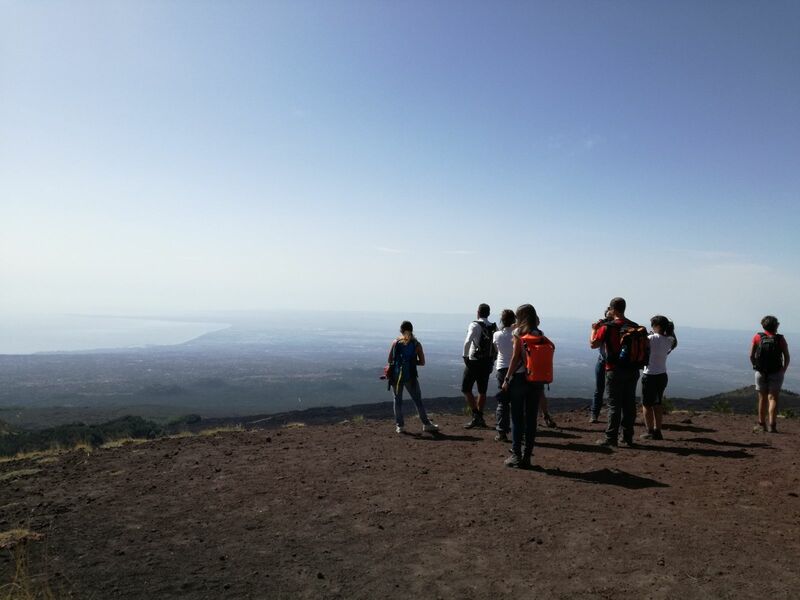 There are also lots of locals, who in he summer go to Mount Etna to cool down and in the winter to play with the snow or to ski. 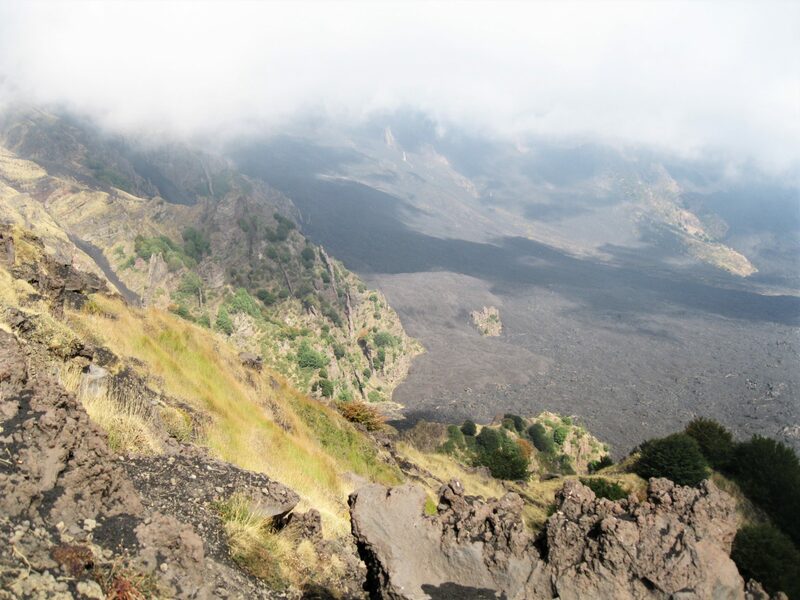 Right next to the Rifuggio area we find the Silvestri Craters (Crateri Silvestri), which are easily accessible even in sneakers. 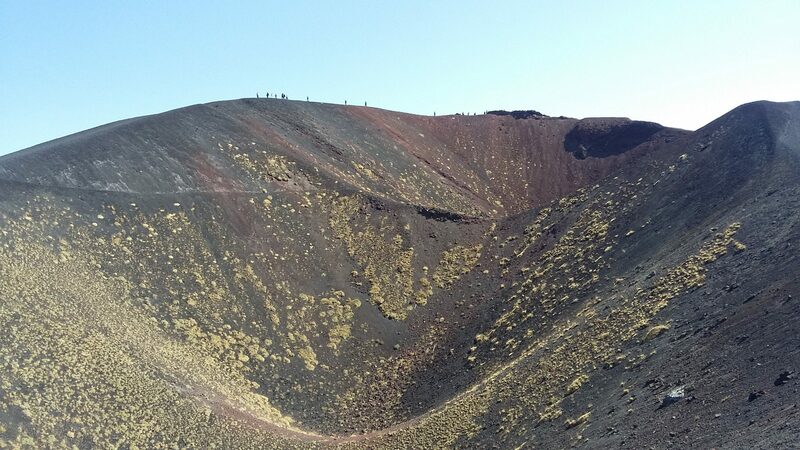 The view of the craters is undoubtedly impressive. 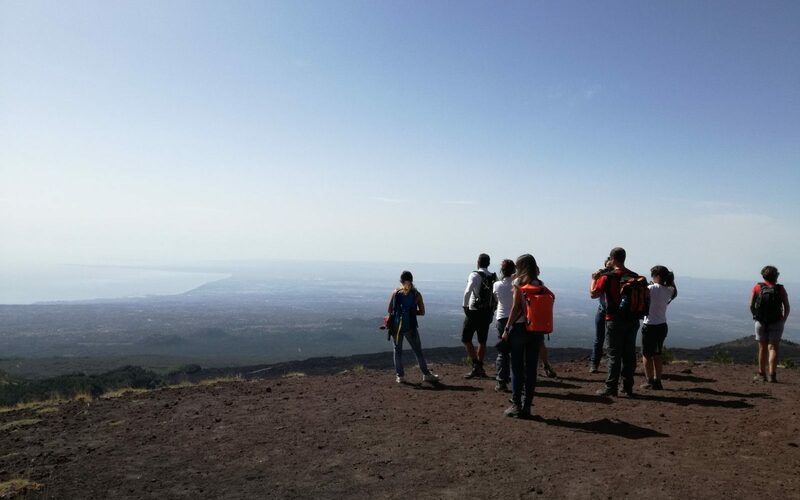 In good weather you can see the entire coastline of Catania to Taormina and sometimes even Calabria. 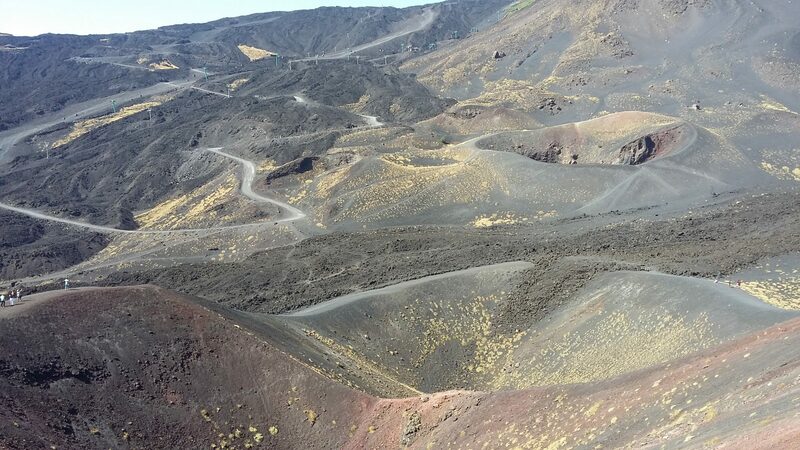 We enjoy here lunar forms and colors as well as crunchy volcanic ash under the feet. We go on. We take the asphalt road towards Zafferana Etnea and walk for about 15-20 minutes. We reach the entrance to the trail called Schiena dell’Asino (The Path of a Donkey’s Back). On the right side of the road you will find a small car park and a bar on wheels (open only in summer) and a wooden sign indicating the direction of the route. The hike is of medium difficulty. It takes about three hours (at a slow pace). The length of the trail is 5 kilometers (plus the road from Rifuggio Sapienza to the entrance of the trail – about 3 kilometers in both directions). If you do not have any health problems that could make it difficult for you to walk, you can easily take this route and hike here even with small children. The road is well marked so it is rather difficult to get lost here. Hiking boots are not necessary; If you have nothing better, you can wear any sports shoes. However, it is better to wear professional footwear. Part of the route is rocky, so it is easy to trip or slip on the stone. There is also a lot of gravel that goes down to low shoes. In the spring, when the snow melts, or after the rainfall, the route is muddy. The trail is inaccessible only in the winter when snow is falling heavily (usually from late December to mid March). Then we need snowshoes. It is best to plan a trip in the morning, because then the Valley of the Ox will be filled with the sun. In the summer, when the day is longer, you can also take a trip in the afternoon to breathe some fresh air. But even in the summer bring something with a long sleeve, because at the peak of the route wind is often strong and it can be cool there. The start of the tour is slightly up the hill. We walk along a rocky road dipped in a pine forest. 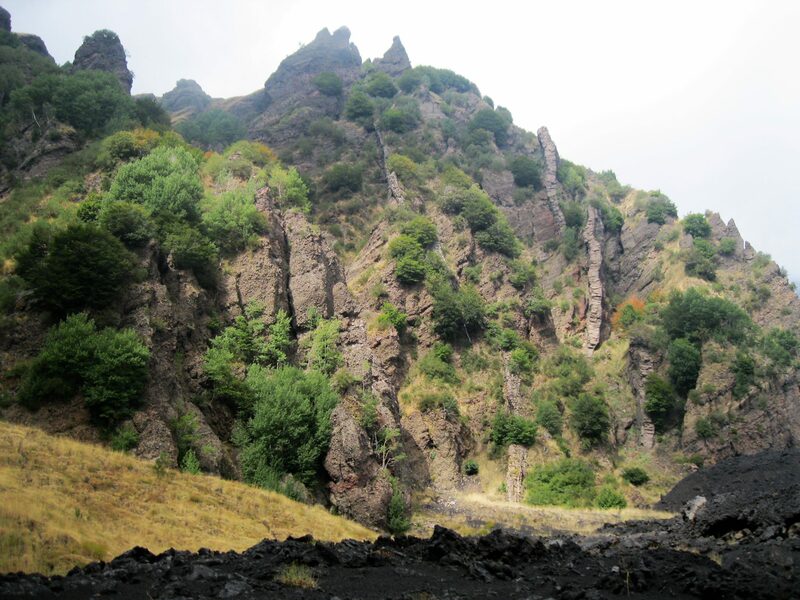 We find here many characteristic species of trees, bushes and other plants typical only for Etna. The walk is pleasant because the shadow of the tall trees protects us from the burning sun. On the trail, even in full season, we rarely meet other hikers. You can calm your mind and listen to the sound of the nature around you. Sometimes a lizard will pass through the road, or the hedgehog will roam. If you have exceptional luck, you may encounter a snake. 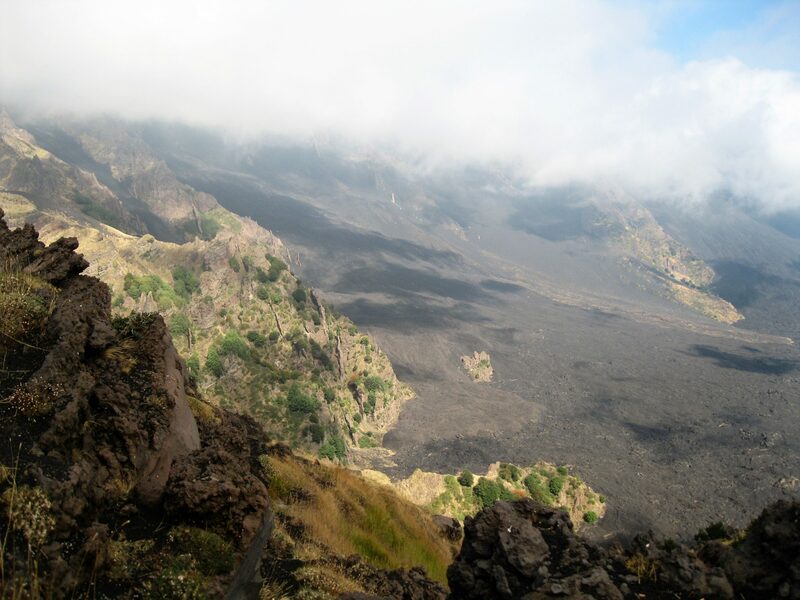 There are several species living on Etna; all except the viper are harmless. In the course of countless trips to Mount Etna, I saw only one tiny snake, who snapped so quickly that he did not even get a good photoshot. In a word, a poor chance. We are about half way through. 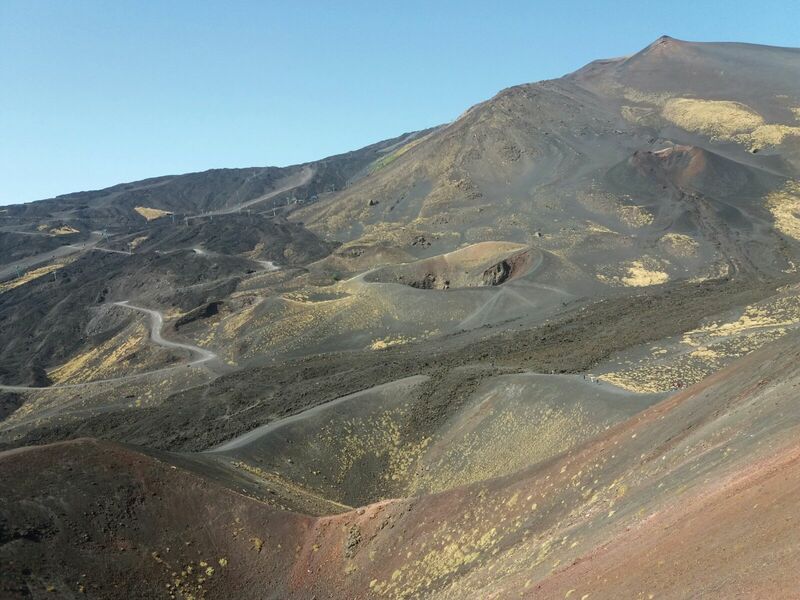 The steppe landscape with the gentle hills covered with Etna endemic vegetation opens around us. Sometimes haunting buzzard or a kestrel will be seen high on the sky. 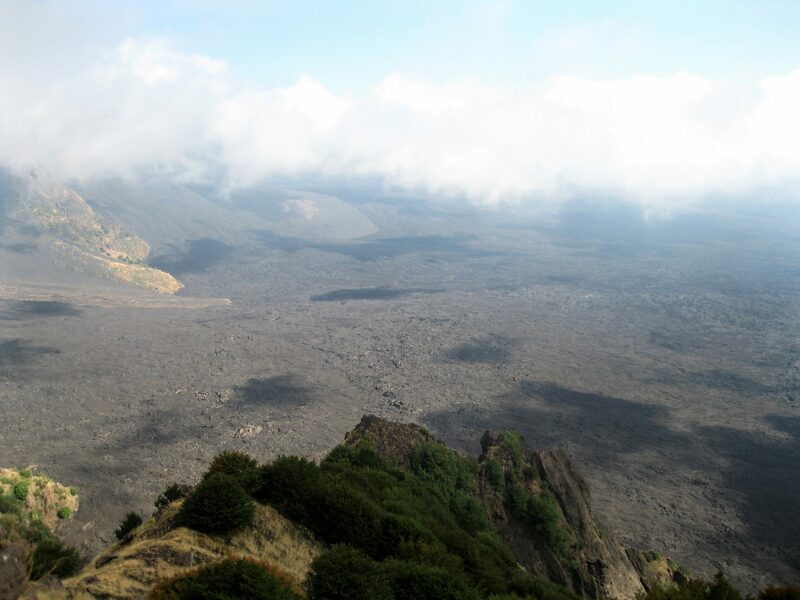 We observe boulders and old lava flows and in the distance, the smoking volcanic crater. Let’s go on. We reach the top of the hill. Surprise! To our eyes appear Tolkien’s landscapes rewarding all efforts of today’s hike. Here we feel the power of the volcano. 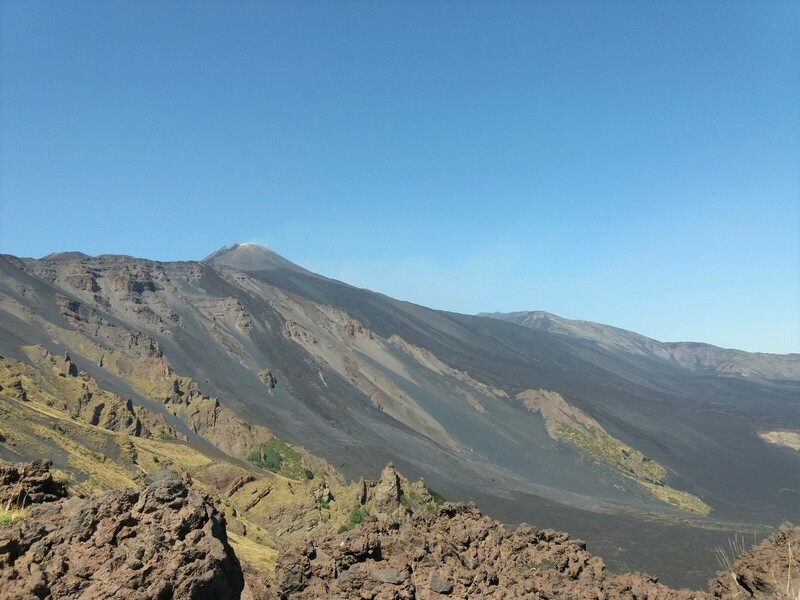 In front of us spreads a huge valley filled with black lava and steep slopes covered with specific lava structures (magma dicchi). Valle del Bove occupies an area of 37 square kilometers and its walls rise to a height of 1000 meters. It has a horseshoe form open from the east. 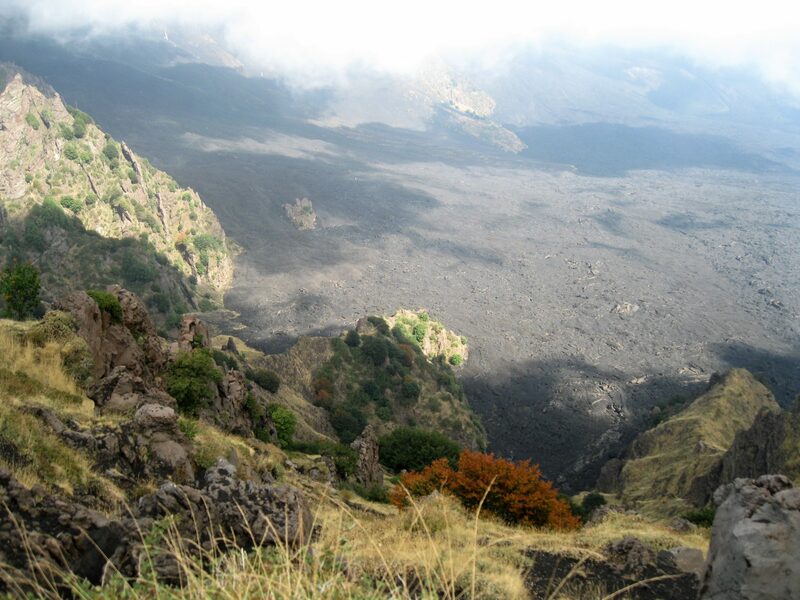 It was founded 64,000 years ago as a result of the collapse of the ancient eruption center called Trifoglietto. 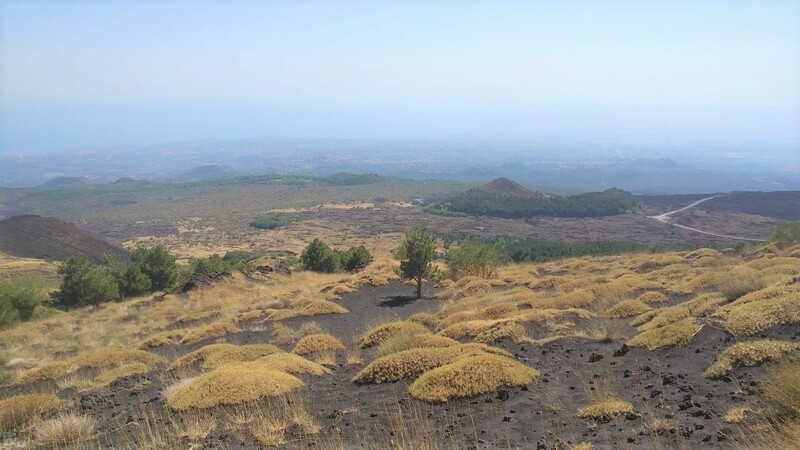 The rise of the Buffalo Valley determines to a large degree the shape of Etna, but I will not dwell on these rather complex scientific issues here. We look at the unearthly landscapes. After a short picnic and a walk along the edge of the valley, we slowly turn towards the return path. 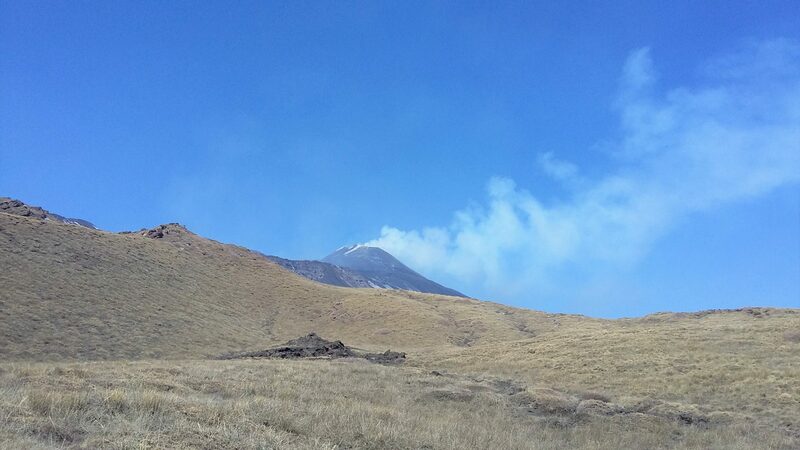 At the Rifuggio Sapienza bar we have a cold beer and some stronger liqueur called Fuoco dell’Etna (Fire of Etna). Warning! 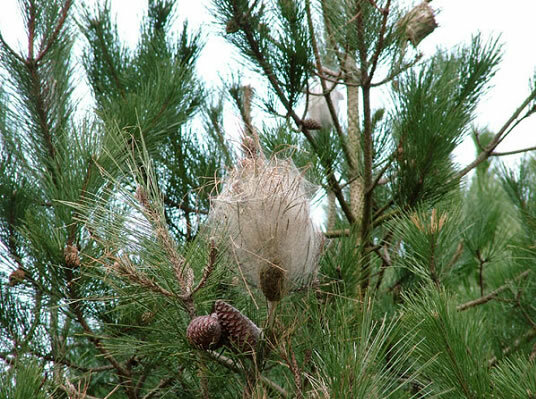 Coniferous forests on Etna and the rest of Sicily are infected with an insect known as Thaumetopoea pityocampa. 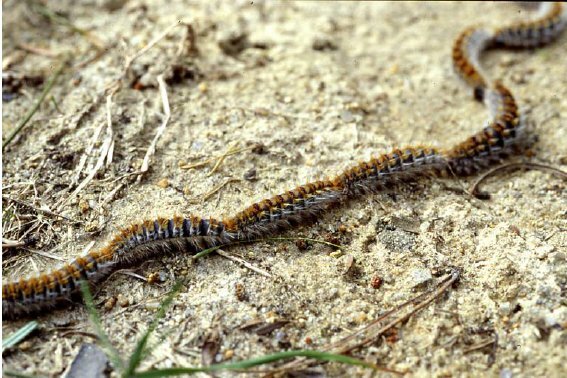 These destructive caterpillars move together in nose-to-tail columns. Their urticating hairs are toxic and to some people may cause serious allergic reactions. Watch out for children especially. Do not touch the nests or the caterpillars. Bus Stop at Pappa Giovanni XXIII (the same station where Catania main train station is located). Departure from Catania daily (except some holidays and New Year) at 8:15. 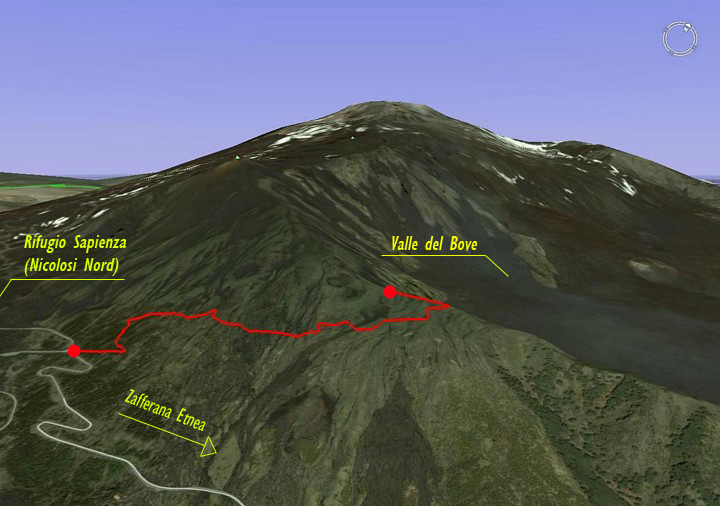 If you want to go to Mount Etna with a guide or have any questions about the route write or call boldly! Pick up from the hotel available.